A Hunting Future in Peril? If you’re anything like me, the next couple statistics will scare you. They will make you think. And they may just make you consider introducing someone new to hunting next time you hit the woods. According to a recent management plan released to the public by the New York State Department of Environmental Conservation (DEC), the number of deer hunters in that state has decreased by 40 percent in since the mid-1980s. Further, an article by John Ozoga in the August 2011 issue of Deer & Deer Hunting notes that only 69 hunters replace every 100 who stop hunting nationally. Some states are as low as 26 new hunters per 100 churned out. Not one thing about those statistics is good. Few who follow the hunting industry can be surprised by those numbers. For years, we’ve been exposed to the steady decline of hunters in the woods. The aging population of America coupled with the growing movement of our country’s population to more urban environments is driving the significant drop. As hunters, it’s time for us to put our crosshairs on recruitment – not just to save the future of our sport, but also to introduce new people to a sport that is cherished by so many of us. I personally think six goals is a bit lofty. In reading the 50+-page plan, I think No. 3 could be whittled down as it would be a likely output of accomplishing several of the other goals. That said, with the exception of getting a few objectives that really would be defined as strategies or tactics, the plan is well thought out and includes consideration for much of the feedback the DEC heard from hunters via several research-gathering tools. 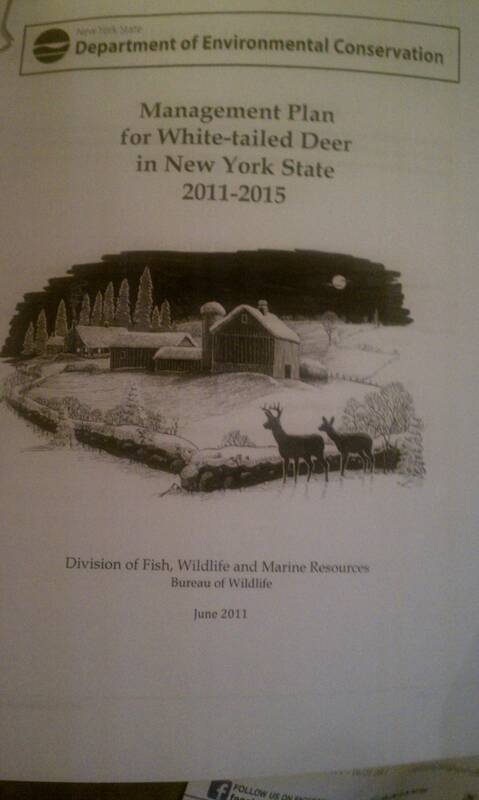 So how does NY plan to recruit to help the hunter deficit? There are five objectives laid out in the plan. 1) Promote recreational hunting among all New Yorkers, as a safe, enjoyable and ethical activity and as the primary tool to manage deer populations. 2) Establish deer hunting seasons, regulations, and programs that are effective for deer population management and that encourage hunter participation, recruitment, retention and satisfaction. 3) Promote efforts to reduce harvest of young (less than 1.5 years old) bucks. 4) Improve hunter access to public and private lands. 5) Consider other forms of outdoor recreation with or affected by deer management. The plan dives further into each of those strategies with several strategies for each objective. I encourage you to read these, and other elements of the plan. There are several elements of the plan that can help each of us come up with little ways we can do our part in recruiting new hunters. Our sport’s tomorrow depends on us doing something about hunter recruitment today. David Hinceman and Kevin Dancy of Pass’n It On Outdoors stopped by the AHT Man Cave for a stump session about their new television show. The outcome is the first-ever video blog post at AHuntersTales.com!